Written in the Midst of My Grief So That You Will Not Be Alone in Yours. 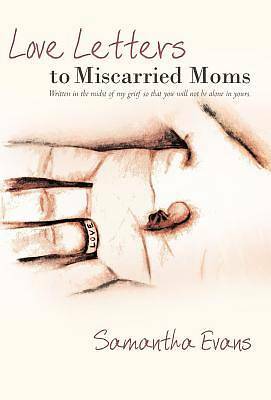 The word "miscarriage," in today's culture, is a dirty word-rarely discussed and grossly misunderstood. Yet, one out of four pregnancies ends in this tragedy. Where are these women, Samantha wondered, after her miscarriage? Slowly, quietly, women began to approach her, but, "I've had a miscarriage too," was all they could offer. Samantha realized that she had unwittingly become a member in an underground, secret society of women who suffer alone in silence. Love Letters is the story of her journey, the same journey that each mother who miscarries begrudgingly embarks on-the excitement of pregnancy, the overwhelming, unfathomable devastation and loss, the grotesque details that no one speaks of, the uphill road toward hope and freedom-and the Savior who walks beside her every step of the way. "Though she stumbles, she will not fall, for the Lord upholds her with His right hand" (Psalm 37:24).